The Cabin is a wonderful place to stay on your next get-away to California's scenic central coast. 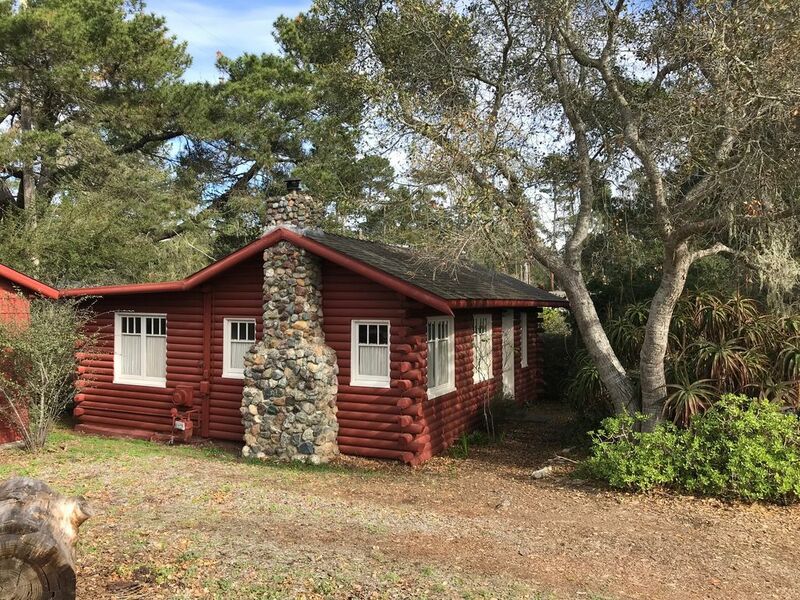 Located in Cambria just a few blocks above the ocean and Moonstone Beach and near a Monterey pine forest - a peaceful location. The Cabin is a restored antique from the William Randolph Hearst era. The Cabin's simplicity gives one a rest from the complexity of life! Enjoy the subtle decor hung with original art. Cozy up to the wood burning fireplace. Listen to a covey of quail outside your door. The Cabin includes living and dining room with wood burning fireplace, one bedroom with queen bed, one bathroom with bathtub/showering hose, (two sleeping mats with bedding for living room to accommodate extra guests), wireless Internet connection, basic cable TV with smart/DVD player for movies, and a kitchen. We would love to have you stay. The cabin was perfectly quaint, quiet and charming. A hidden gem and a perfect weekend getaway. A couple more days here would be the perfect reset. Wonderfully located, in an adorable town, within driving distance to many fun outings. Cambria is a small village bordering the Pacific Ocean and surrounded by beautiful Monterey Pines. We have a wonderful mild year round climate and great natural beauty. Perfect for exploring the tide pools, beaches and marine life, hiking the forests, kayaking the cove, wine tasting, savoring the local restaurants. Only a 25 minute drive to the south coast of Big Sur.